Mr Sylvain de Jong, born in Amsterdam on 5 January 1868, moved to Brussels with his parents and two brothers to Brussels when he was thirteen years old. After working for some years as a journalist, he went to the U.K. to study the safety bicycle production. 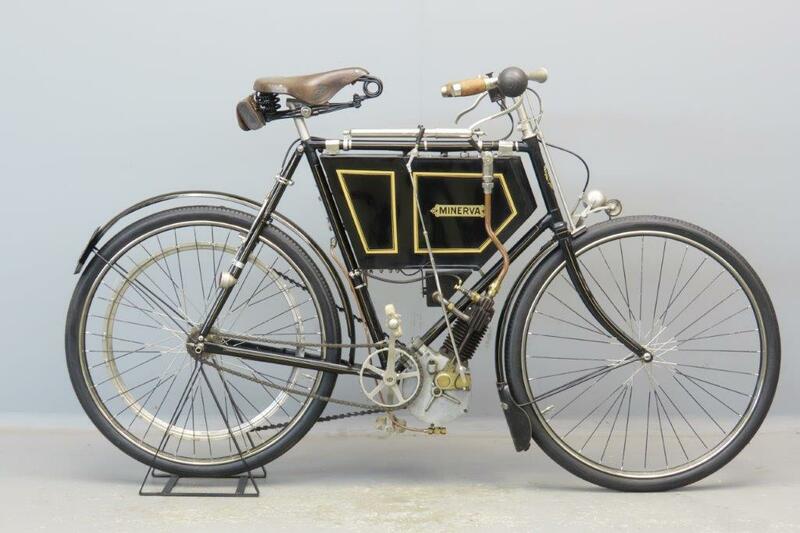 In 1895, S. de Jong, his brothers and other investors started a factory in Antwerp, to produce and repair bicycles. 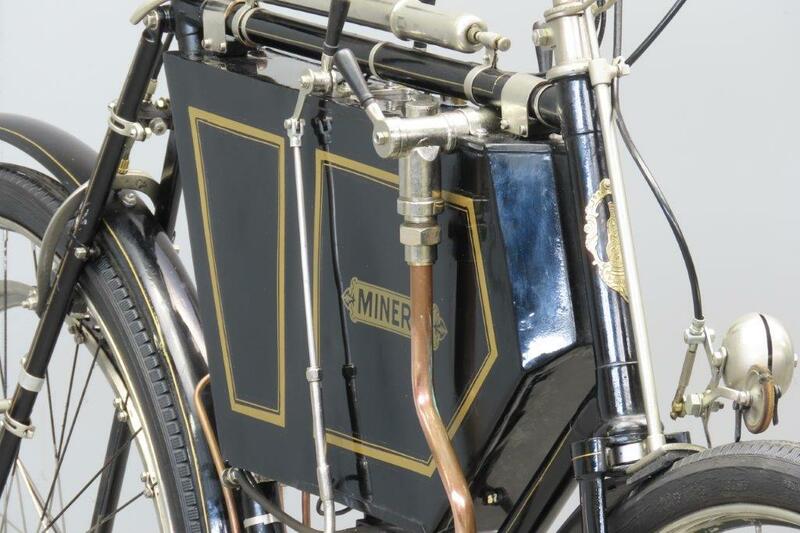 For these bicycles, they selected the name “Mercury”. 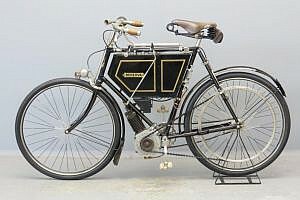 Only two years later, after a dispute with the other investors, S. de Jong created on 15 October 1897 “S. de Jong & Cie”. This time he selected the name “Minerva” for the new plant in Antwerp. Minerva the Roman goddess, daughter of Jupiter, sprang from the head of her father, fully grown and in full armour. 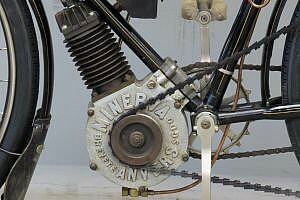 In 1900, S. de Jong & Co. bought an engine from the Neuchâtel – Swiss based Zürcher & Lüthi. 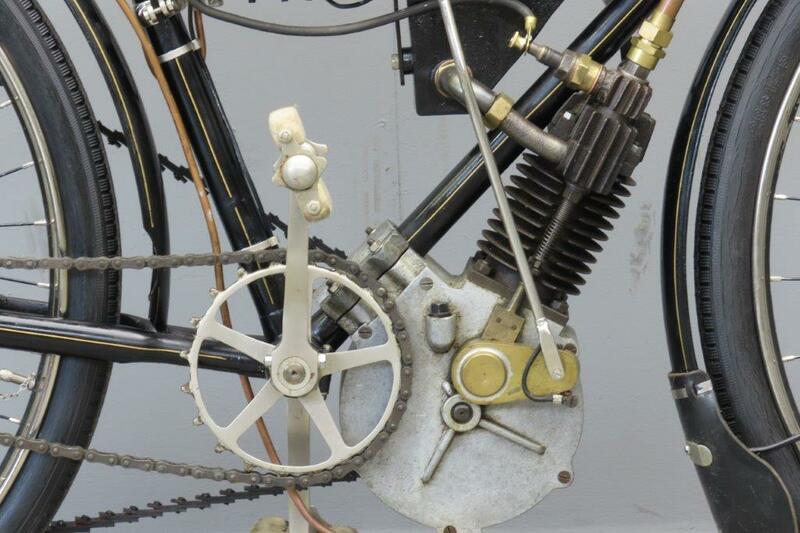 Zürcher & Lüthi did not only build the engines, they also patented the bicycle set-up. The engines were “clamped to the framing” (clip-on). S. de Jong & Co. bought the license and started the production of all parts needed to turn a Minerva bicycle into a Minerva motorcycle. 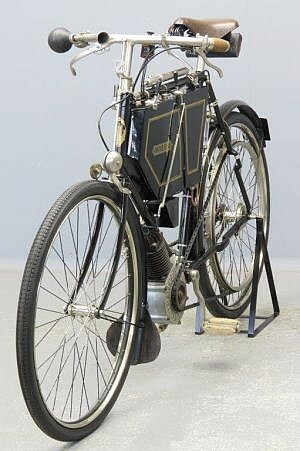 Due to the reliability of the clip-on engine, success was immediate. This very early Minerva has bore x stroke dimensions of 56 x 70 mm and a modest output of ¾ HP. 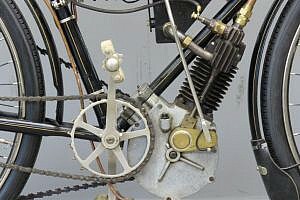 The petrol-air mixture is brewed by a surface carburettor and the spark comes from a battery and coil. 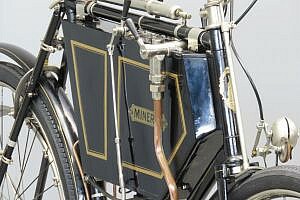 The machine was part of the collection of a Minerva Specialist. Its early history is unknow and after having been restored in the 80s this lovely veteran has been in storage and never saw any road use. 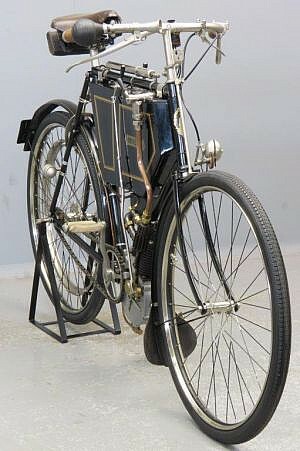 Note the inventive front-wheel driven bicycle bell.